1stPayGateway is the premier provider of payment gateway solutions for eCommerce, MOTO, Retail, Mobile, credit card, debit card, e-Check & ACH transaction processing. Easy to integrate enterprise payment gateway solutions to reduce PCI scope, increase efficiency and reduce cost. When Next Generation is not Enough. Our iPad POS System 1stPayPOS is highlighted in ETA's Transaction Trends March edition! With PCI Compliant encrypted credit card readers and user-based logins, 1stPayPOS makes data security a top priority! Many big companies are experiencing data security breaches, with such companies as Target and Neiman Marcus being among the targeted. 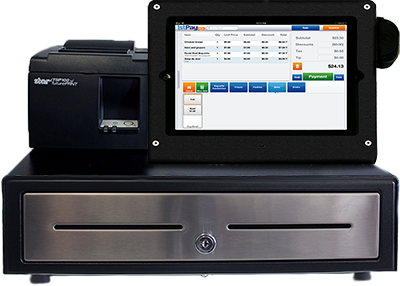 The 1stPayPOS iPad POS system includes an encrypted credit card reader, which encrypts credit card data immediately after the swipe, to help prevent such security breaches. All payment data is then stored on 1stPayGateway's encrypted servers, to provide the utmost level of data safety and PCI Compliance. Read more about it in our article here. iPad POS System 1stPayPOS Demo!